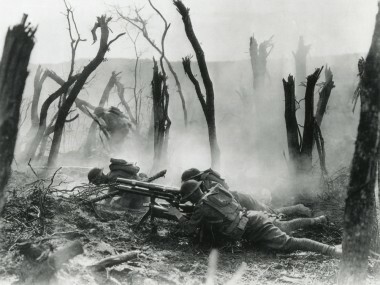 The 100th anniversary of the beginning of World War I is upon us. Well we should mourn this cataclysmic event and continue to draw lessons from it. As a former soldier and military historian, I’ve always felt that WWI was the most tragic conflict in modern history: a totally avoidable madness that wrecked Europe’s glittering civilization and led directly to World War II, Hitler and Stalin. 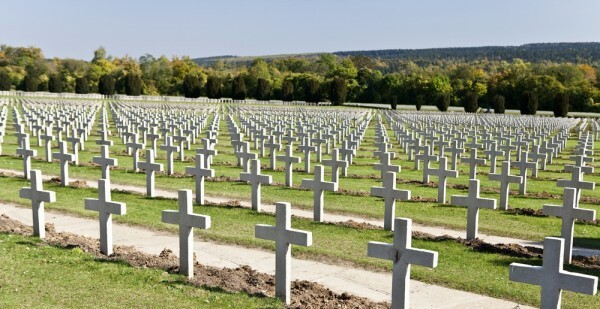 This mournful anniversary has reopened fierce debate over who was responsible for the Great War. On one side of the debate is historian Margaret MacMillan, whose new book “The War That Ended Peace,” lays primary blame on Germany’s military and commercial ambitions. MacMillan is a nice lady – I’ve debated her on TV – but her tedious new book is so steeped in traditional British/Anglo-Saxon bias against Germany as to be of limited value. On the other is “The Sleepwalkers – How Europe Went to War in 1914” by Cambridge professor Christopher Clark. This brilliant book is the finest, most instructive, best balanced book ever written on the origins of the Great War. I say this as holder of a degree in the diplomatic history of World War I, and as one who has walked most of the battlefields of the Western Front. Prof. Clark deftly and elegantly weaves a tapestry of events that conclusively shows that Germany’s role in the conflict was no greater than the other belligerents, and perhaps less than commonly believed. Starved into submission by Britain’s naval blockade, Germany was unfairly and foolishly saddled with total war guilt, and saw 10% of its territory and 7 million of its people torn away at Versailles by the war’s rapacious victors. Adolf Hitler rose to power on his vow to return Germany’s lost lands and peoples who had been given to Poland, Czechoslovakia and Yugoslavia. Stalin was determined to regain Russian territory lost at the 1918 Treaty of Brest-Litovsk. The Serb ultra-nationalists objective was to annex Bosnia, Macedonia, Albanian Kosovo, and northern Albania to create a Greater Serbia. The Serbs sought to provoke war between Russia and the decrepit Austro-Hungarian Empire in order to drive Vienna’s influence from the Balkans and allow the creation of Greater Serbia. The first two Balkan Wars, 1912 and 1913, expanded Serbia but failed to give it control of the entire Balkans and the strategic Albanian ports of Durres and Vlore on the Adriatic. Serbia remained landlocked. In the late 1980’s, the Serb extremists, led by Slobodan Milosevic, who attempted ethnic cleansing of the Muslims of Bosnia and Kosovo, were carbon copies of the Black Hand with the very same racist-nationalist geopolitical goals. Austria-Hungary’s aggressive military chief, General Franz Conrad von Hotzendorf, rushed his ill-prepared army into war to punish Serbia. Russia mobilized to support old ally Serbia. Germany, deeply fearing a two-front war made possible by the 1894 Franco-Russian Entente, had to mobilize before Russia’s armies could overrun East Prussia. France, Russia’s ally, mobilized, burning for revenge for its humiliating defeat in the 1870 Franco-Prussian War and loss of Alsace and Lorraine. A total conflagration could still have been averted if Great Britain, which had been playing neutral, had boldly demanded the rush to war cease. France would have been unlikely to go to war without Britain’s supporting its left flank in Flanders. But Prof. Clark deftly portrays how a coterie of anti-German officials in Britain, led by the duplicitous foreign secretary Sir Edward Grey and the ambitious, war-yearning imperialist, Winston Churchill, pushed the British Empire to war against Germany. They were joined by a cabal of German-haters in the French government. British and French industrialists, fearful of German competition, and seeing huge profits to be made, backed the war party. The British and French anti-German cliques played the same role as the pro-war American neoconservatives in the Bush administration, planting phony stories in the press and promoting pro-war allies into positions of power. Clark also shows how almost 40 years of petty European rivalries, intrigues and power games – all contained while separate – finally ran disastrously together in 1914. We see the same dangers today in the petty but growing conflict over Ukraine between the US and its European satraps and Russia. Every week seems to bring the US and Russia closer to a collision as the Washington seeks to dominate Ukraine and use it as a weapon against Russia. Once again, neocons in Washington, allied to Ukraine’s hard right and neocons, are promoting the growing Russo-American conflict. A conflict over a quasi-nation of absolutely no strategic interest to the United States. American neocons and their Congressional mouthpieces are now calling for NATO to take control of Moldova and Georgia. Conrad von Hotzendorf would have approved. No one in the west is ready to die for Luhansk or Donetsk, but few in 1914 Europe were ready to die for Verdun or Ypres – but millions did. 60 Comments to "World War One: Tragedy of Tragedies"
Eric Margolis is a sleeper CIA agent. He has been buying credibility with his anti-US regime articles for many years. Now he is caching in. Germany didn’t lose any land after WWI that was actually German. It was occupying places like Poznan, which was Poland’s first capital. That’s like handing Berlin over to the Kurds who are living there, and then complaining when Germany gets it back. Adolf Hitler rose to power on his vow to return Germany’s lost lands and peoples who had been given to Poland, Czechoslovakia and Yugoslavia. Actually Germany lost territory to France, Belgium, Denmark, Poland, and Lithuania after WWI. Basically speaking, Germany was a status quo power in 1914, it was the Entente that needed a war to achieve their political aims. The trigger was pulled by Russia with their “partial” mobilization on or before 25 July. The so-called “November program” was never official German policy . . .
What’s so wrong about anti-US regime/regime change? Philip Giraldi is another antiwar regular contributor. The knowledge they bring to their articles makes them very valuable and informative. Kudos to Eric Margolis. The 100th anniversary has passed almost unnoticed in the US. It may be that our late entry into the war, or the lack of any combatants still living, or that World War II has been tied to the moniker of “the Great Generation.” Mr. Margolis gives some of the consequences that 1914-18 conflict produced. The debate about responsibility for the war remains as active now as it did in its aftermath. What should be considered is that all nations have plans for war. The United States had plans for invading Canada should another war with Britain broke out. Somewhere in the Pentagon, we have plans for wars with China, Russia, and Iran. Back in the 1950s, there were debates about going to war with Soviet Union and/or Red China before they developed the atomic bomb. Many of your readers lived through the Cuban Missile Crisis. For two weeks in October 1962, Americans, and I am sure Russians, were faced with a war that would have rained death and destruction upon us. If a single shot was fired, either deliberately or by accident, war would have broke out. Fear of failing to react to provocation, being seen as weak in front of your enemies, defending your honor, etc. would have governed decision making in Washington and Moscow. So too with World War I. The major powers had plans for war–some open and very detailed like Germany’s Schlieffen Plan or France’s Plan XVII, or secret like England’s promises to France. One can find individuals on both sides that talked of going to war. But without Gavrilo Princip’s successful murder of Archduke Franz Ferdinand and his wife in June 1914 would the nations have marched off to war in August 1914? Unlikely. Were the European powers destined to go to war? If Princip had failed, peace would have continued–even if suspicion continued. Perhaps a different set of events may have brought about war, or conceivably peace could have persevered. Not much has changed, the wealthy that hang out at Davos eagerly support anything that makes them more money, even if it means the end of the Western nations and its people. Er, Germany came close to starving Britain by it’s blockade, in which it killed God knows how many neutral civilians, ultimately provoking U.S. intervention, without which it might have won. The Germans also killed hundreds of British civilians in militarily totally pointless terror raids on the East coast, and also killed hundreds more in equally pointless zeppelin raids. Germany killed about 15,000 Belgian civilians in the first weeks of the war, displaced about two million, and dragged a couple of hundred thousand back to Germany as slave labourers, same as they did with Eastern Europeans on a much grander scale in WW2. 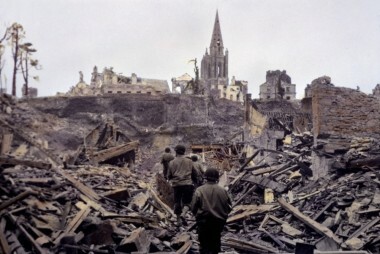 They destroyed some of the most beautiful cities in northern Europe in the process, burned down historic libraries churches and townscapes, and raped God knows how many Belgian women. The 10% of its territory “ripped away” consisted of Alsace-Lorraine, which it had previously “ripped away” from France 48 years earlier, large chunks of Polish speaking territory and bits of Schleswig Holstein where the people were Danish rather than German, and had been subject to heavy collective punishment for resisting the German draft. In all three cases the “ripping away” was approved by large majorities of the populations who actually lived there. Er, the Russian territory lost at Bret-Litovsk had already been recovered in 1918 following the German defeat. How? Germany had already cynically invaded Belgium – with large scale atrocities, as we have already seen – , thus violating it’s treaty obligations with Britain. The whole reason the UK DID guarantee Belgian neutrality was because it could not countenance an unfriendly continental power having control of the whole North Sea/ Channel area: as happened in 1940. The German war aims in 1914 were not that different from Hitler’s: ok, they did not have the exterminationist attitude towards the Jews, or a fully articulated ideological view of the Slavs as untermenschen, but they were getting there. Germany basically wanted to knock out France as a great power for all time, annex it’s industrial capacity in the North, then look to the East for lebensraum. The level of sympathy for the Germans losing 7% of their population in 1918 – virtually all of whom as Poles, French or Danes,were desperate to leave the Reich – must be somewhat tempered by the treaty of Brest Litovsk, by which Germany forced Russia to annex the whole of the Ukraine and Belorussia: had the Germans won, this would have become permanent. All in all a pretty poor article. Historically illiterate. Currently about halfway through Tuchman’s The Guns of August. I agree with the article that Germany’s role in lighting the conflict has been distorted through history – they also had ample opportunity early on to prevent or limit the conflict. If they had considered the possibility of a one-front war with Russia, there would have been no need to attack France through Belgium. A defensive posture could have been assumed on the Western Front, allowing Germany to dismantle the Russian Empire and gobble up plenty of territory. Without an advance through Belgium, England could have potentially been kept out of the conflict. If England had stayed out, then France would have been reluctant to fight (regardless of their treaty with Russia). The more I read, the more I realize that history is littered with “what if” moments that have dramatically altered its course. While I agree with the article, it must be said that Bismarck would have never let WWI happen. William II was a pompous chest-thumper who learned nothing from his father or Bismarck and was a foreign policy disaster. A genetic test would probably show him to be an ancestor of John Bolton and John McCain. One other point, the article doesn’t make clear that what was really egregious about the British blockade was that it was kept on for eight months AFTER the armistice was signed, ostensibly to force the German delegation to sign the unjust treaty. Many children died because of it. France was already fighting at the time: she, along with Belgium, had just been invaded. The German Schlieffen Plan had been laid down 30-40 years earlier: surprise attack through Belgium, thus cynically violating Belgian neutrality, hopefully a quick knockout blow to France a la 1870, annex the Northern industrial parts of France and subdue or ethnically cleanse the locals. The Germans were hoping (a) Britain would not honour its commitments or (b) British assistance to France and Belgium would not be quick enough and that Germany would take the Channel ports quickly as per 1940, and knock out France before Britain could mobilise properly. It was a gamble which came very close to success. As a primarily naval rather than land power, the British Army was always something of a cinderella compared to the Royal Navy. 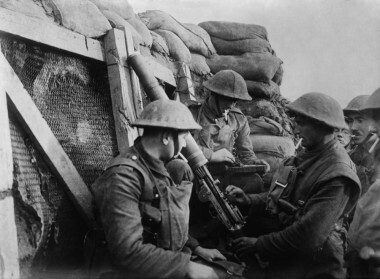 The British Expeditionary Force consisted of only about 100,000 men, who were simply swatted aside by the Germans at Mons. Of the original 100,000, 10% were killed, 10% captured and about 40% wounded. Many years earlier, Bismarck had said that if the British Army ever landed on German soil, he would send a policeman to arrest it. Whatever way you hack it, Britain was brought into the war by the invasion of Belgium, which had been planned for decades by the German High Command. If the Brits have a German bias I would think they might be forgiven since they had two world wars with Germany in the center of it all and I would guess that war in Europe was probably inevitable at some point no matter who you blame. It might be more interesting to wonder what would have happened if the US had sided with Germany in WWI which seems to have been at least a possibilty according to some history I have read. All too often the view of what happened during July/August 1914, is clouded by what happened afterwards, especially what happened from 1933-45 . . . Fact: Russia started a secret mobilization on or before 25 July. That is the Russians had already decided on war. The French knew what was going on as well. The British either were fooled or didn’t want to know. Grey offered an international conference to the German ambassador after he complained to the British that the Russians were already mobilizing, but Grey denied that the Russians were in fact doing what all the intelligence coming out of Russia was indicating they were doing . . . This only proved to Berlin, that war was inevitable and Britain was part of the con. That Germany would attack France through Belgium in the event of war was known from the late 1880s, all one had to do was look at the new German railheads constructed just across the Belgian border with Germany, so no surprise. The French General Staff knew this. So with this known, how was it that the Germans were able almost to reach Paris? Why was the mass of the French Army deployed far to the south? If Germany was hell bent on aggressive war, why had they not attacked France in 1905, as Schlieffen had proposed when Russia was suffering political convulsions due the the loss of its war against Japan and the revolution? To consider these and other obvious questions is to begin finally what should be going on during this centennial . . .
Er, no not really. Those railways actually went on into Belgium. The Schlieffen plan was so secret that even many of the German High Command did not know of it. Hindenburg himself was apparently only told by the Kaiser at the last moment that they planned to violate Belgian neutrality, and was appalled. Apparently having received his orders from Wilhelm, he went and fulfilled them like an obedient soldier, but when he was asked if he had anything to say, replied “Wir tun unrecht.” We are doing wrong. Mainly because the Naval buildup was not yet complete: Wilhelm was obsessed with building a navy to rival the Royal Navy – and also because they could not necessarily rely on the support of the Habsburg Empire at the time. The Serbs provided them with that support 9 yrs later. One of the Serb plotters who murdered Franz Josef was asked whether he felt any guilt about plunging Europe into war:he replied, not really, the Germans would have found some other excuse. Not true. Only Schleswig and Upper Silesia were divided up according to the will of the people via plebiscite, the former split between Germany and Denmark; the latter between Germany, Poland and Czechoslovakia. Posen/Poznan had a 60% Polish majority yet was almost entirely handed over to Poland, including heavily German districts. West Prussia had a German majority yet it too was handed over to Poland, thereby dividing East Prussia from the rest of Germany. Danzig was overwhelmingly German, yet it was made into an independent city-state against the wishes of its inhabitants. Memel was a German-majority city yet the Powers let Lithuania unilaterally seize it. Eupen-Malmedy was a German-speaking district yet it was handed over to Belgium. Alsace was more than 90% German and the German part of Lorraine more than 70%, yet they were both handed over to France. To the winners went the illegitimate spoils, thereby setting the stage for the next war. “Railheads” . . . railways . . . the difference in terms of 1914 logistics . . . ? The aggressive expansionism of the Austro-Hungarian empire was the spark that set things ablaze. The Archduke was assassinated whilst nosing around in Sarajevo, which is deep within the territory of the Balkan Slavs and is not German or Hungarian in any way. The people there were supposed to just roll over and be taken over by the Habsburgs and let themselves become exploited serfs of the empire? The article states that Germany, as a result of losing the war, lost “peoples” who were “given” to other countries. I didn’t know that the Germans owned these “peoples” in perpetuity. Is there some law of physics that states that the smaller nationalities of Europe must be owned by someone else, or if owned must stay that way forever and ever? True, the German-Polish border carve up was a bloody mess, and there was large scale communal bloodshed as a result, but given the way the two nationalities were so mixed up there, and given also the generations of brutality visited upon the Poles by their Prussian overlords, some ethnic skirmishing was all but inevitable. mass murder and ethnic cleansing of Belgium by German forces. At least the Belgians never massacred any of their new subjects. “To the winners, the illegitimate spoils” – Well, at the risk of repeating myself, anyone who has read the terms of the Treaty of Brest-Litovsk which were forced on defeated Russia would have a fairly limited level of pity for the Germans. Now, that’s what you call a land grab. Had The Germans not being defeated in the West, they would have annexed the entire Ukraine. Germany requested an assurancue that France would remain neutral but the latter would not – and as a Russian ally, could not – give it. A single front war was not an option. That’s kind of the whole point. That the war was not just Germany’s fault but that both sides were seeking to expand their territory and Germany simply ended up on the losing side. The standard historical narrative was that it was German aggression that caused the war and the Allies were simply making the world safe for peace. The truth is the Allies were as much to blame as the Germans were. As to French strategy in 1914 . . .
With the broad outlines of French strategy shaped by Joffre’s own preference for the offensive and by the requirement to launch a massive offensive simultaneously with Russia, he carefully considered the Ger- mans’ capability to advance through neutral Belgium. Concern about such a move had long percolated through the High Command. As early as February 1892 Plan XII included a contingency for the Germans’ violating Belgian neutrality. Intelligence about a German war game in 1906, as well as a meticulous study of the role German fortifications at Metz-Thionville could play in a drive across Belgium, increased France’s concern about such a maneuver. In February 1908, General Henri de Lacroix, Vice President of the Superior Council of War at the time, presented an analysis to the Council which emphasized the Germans’ tradition of enveloping their opponent’s flanks and which foresaw their passing through Luxembourg and eastern Belgium, sending two armies around the flank of French fortifications, and driving south along the Moselle and Meuse valleys. When completed in March 1909, Plan XVI placed more emphasis than previous plans on the possibility of the Germans’ moving through Luxembourg or Belgium. The notion of the “foolish French” is ahistorical. Actually Joffre had contemplated a French offensive into Belgium as late as 1912 in order to outflank the German forts in Alsace. This was rejected for political reasons . . .
Entente strategy must be seen as a whole. France knew that they needed not only Russian, but especially British support in their war against Germany. Franco-British secret military discussions were premised on the assumption that Germany would violate Belgian neutrality and the French would not, since otherwise Britain would have no cause to intervene in the war. Had the British been interested in any deterrent effect on German actions it would have been simple enough to inform the Germans of Britian’s resolve, but this never happened prior to the crisis, although Franco-British secret military planning had been going on since 1906 . . .
Plan XVII only makes sense when one includes the assumed actions of Britain and Russia. Joffre’s whole concept rested on the assumption of a Russian offensive towards Berlin (not into Austrian Galicia as transpired). By 1911, the French reckoned with a specific contingent of the BEF (six infantry divisions, one cavalry division, two mounted brigades) operating in Belgium once Germany had violated its neutrality. With this correlation of forces, the Entente military planners were confident that the Central Powers would be defeated by Christmas, since the British blockade would starve Germany of organic nitrates and other war materials and the superiority of forces would hold back the German Army. Nobody reckoned with the superior quality of German reserves. Joffre was sure that the German reserve formations would not be used in the initial offensives, so the turning movement through Belgium would bog down. Nobody reckoned with a German victory over the Russians in East Prussia . . .
We’ll just have to disagree there. The German plan was to knock out France and occupy the French and Belgian Channel ports precisely in order to stop British reinforcements getting to France. In addition, as I have already pointed out they also regarded the BEF – “a contemptible little army” in the words of Kaiser Bill – as not being enough of a reinforcement to make much difference. What is missing in all of this war claptrap, USA’s envolvement. After. WWI 1918, what was USA doing in two areas of Russia, protecting military supply shipments from the west to help with the Bolshick revolution? Utter nonsense. Alsace-Lorraine was at least 90% German ethnically, as was Eupen-Malmedy (taken by Belgium). West Prussia had a clear German majority also. Posen province was majority ethnic Polish, but still more German than much of what Russia lost at Brest-Litovsk. It had also been German in Roman times, attested by Roman historians. And all of it had been part of Germany since (modern-state) foundation in 1871. The French had some vestige of respect for treaties. Hardly, it was a political decision since they needed Britain in their war. The war itself was a far greater atrocity than the violation of Belgian neutrality, and the Entente had been planning for war since the 1890s, actually needed the war to achieve their political purposes . . .
As to Britain, your argument seems based on one quote of the “contemptible little army”, but that is not the way the Entente military planners looked at the BEF. It was a relatively small, but professional and highly effective force and could be mobilized quite quickly. Any lag time was in the deployment to Belgium which was still enough to get there in time . . . The kicker is that essentially the Triple Entente was a secret military alliance of which the British Parliament knew nothing until it was too late . . . your anti-German bias precludes you from seeing the picture more clearly . . .
Er, Britain blockaded Germany first, from the start of the war. Germany’s blockade came rather later, in response. No British civilians starved to death as a result. The naval and air raids were aimed mainly at towns with military targets, and in response again to the British blockade (and war effort). The number of Belgian civilians killed is less than half what you claim (and vastly less than the number of Albanians and Macedonians killed by the Serbs from 1912-15), as is roughly also the number of forced labourers, who were vastly less than the numbers deported by the Russians in eastern europe in WW1. Alsace-Lorraine had been ripped away by France to begin with, in the 16-1700’s, and had been German since Roman times at least. It was returned to Germany after a war provoked and begun by France, and was taken again by France after WW1 without a real vote. The Sudeten Grmans had indeed been part of the German Reich, ie the first, the German Holy Roman Empire. Territory lost at Brest-Litovsk included the Baltic states and Finland which remained independent until WW2. Germany had no treaty obligations with Britain, and even Britain had none with Belgium as the cabinet declared. Serbia and late the other allies violated Albanian independence and neutrality (established by the powers in 1913 at the London Conference) without batting an eyelid, and with massive atrocities by the Serbs, from 1913 on. The neutrality of Greece was also violated by the Allies during the war. There were no German war aims until Germany was invaded by France and Russia (before German forces invaded them), then they were about ensuring security against a repeat. The aims of the allies were even harsher. Germany lost 12% of its population not 7% in 1918, mostly ethnic Germans. Germany did not force Russia to annex anything at Brest-Litovsk, rather to recognize the independence of peoples who had already thrown off the Russian yoke, eg the Ukraine. Had this become permanent then, the world would have been saved all the trouble since. What’s pretty poor and historically illiterate is your reply. The first campaign of the war between German and French forces was when several French divisions invaded Alsace on the 7th. The Schlieffen Plan (which was not actually the German plan of 1914, see Zuber) dates only from 1905-6, and was a military plan only, with no political aims. shows that they had the support (indeed command) of the King to do so. Belgium was just a convenient excuse. AH was not expansionist at all by 1914, unlike Serbia. The Archduke was the Austrian most AGAINST war with Serbia, and was going to remove Conrad, whose calls for preventive war he had blocked many times. Sarajevo was a recognized part of the AH empire, and the majority of its inhabitants (Catholics and Muslims) were in favour of this over being a part of the backward and extremist Serb state. Most of the people taken from Germany after 1918 were ethnic Germans. Perhaps because the Belgians were content to have massacred millions of Africans in the Congo? Brest-Litovsk recognized the Ukraine as independent, it had its own government. The territory lost by Russia then was the territory of non-Russian peoples almost entirely, the same ones that are now independent. And it came after the Russians had rejected much better terms for years and kept fighting instead. Also Russia was not sliced in two, denied effective armed forces, saddled with sole war guilt, and economically crippled, unlike Germany at Versailles. The French (and British) had as little respect for treaties and neutrality as Germany when it suited them, eg the cases of Albania and Greece before and during WW1. And in fact Joffre decided already on the 2nd to deploy 3 of 5 armies to the Belgian border, before he knew the German intentions (he did not even think they were coming through Belgium in force for quite a few days yet), with permission of the cabinet, and despite the need to launch the agreed main offensive by M+15. As Zuber says, the French were going into Belgium whether the Germans did or not. They held off long enough only to get Britain on side, one way or another. The Triple Entente was well known to the British Parliament. I repeat myself: The Germans brought Britain into the war by violating Belgian neutrality, something which all the powers had guaranteed. They then went on to commit atrocities on a massive scale – although obviously nowhere near as massive as in WW2 – against Belgian civilians. Bismarck was a wiser man than the Kaiser: which is why he sacked him. He won the Franco-Prussian war in 1870 without violating Belgian neutrality, thus avoiding provoking Britain, then pulled out of France fairly quickly to avoid upsetting the wider balance of power. He also said, wisely “I am no colonies man.” ie he recognised pragmatically that as a land power only recently united, Germany was too late to get into the game of Empires, as the maritime powers of Europe: UK, France, Holland, Spain – had already grabbed evrywhere worth grabbing. The Kaiser’s desperation for a German “place in the sun” was basically a rather foolish exercise in “keeping up with the Jones’s which would do nothing except provoke the other powers. Btw, excellent article as usual from Mr Margolis, and absolutely right about Clark and MacMillan’s respective books. The content of this “article” is nothing short of the typical propaganda that the stooges of various “Western” governments continue to propagate. The old adage of “keep repeating the lies…” still holds true. Your take on Serbia particularly is laughable both in regard to the distant past and the more recent history. Serbia was finally able to remove the occupying “Super Power” of that time while taking devastating losses in human life. You are an obvious shill. 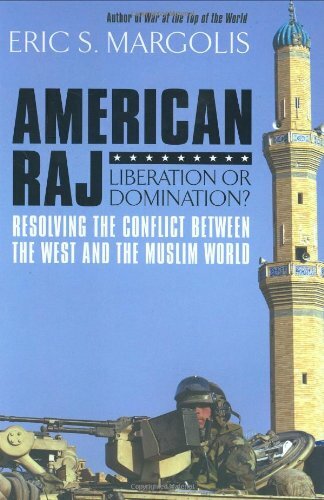 Margolis is probably a nice guy, but his tedious article is so steeped in pro-Muslim/anti-Serb bias as to be of limited value. So, your “foolish French” notion and now the “well-known” provisions of the Franco-British military talks are based on what exactly? You’re not talking history, sorry . . .
Ok, so Germany didn’t invade Belgium? Eric Margolis’ Albanian-activist mother obviously contributed to his extreme anti-Serbian bias. But to mention that the Austrian archduke was killed on a visit to Sarajevo on June 28, 1914 without informing his readers of the significance of that date, nor of the significance of the visit is unpardonable. Bosnia was in 1914 a majority ethnic-Serbian heartland province that Austria in 1908 annexed from the Ottoman Turk occupiers who had seized it from the Serbs 500 years earlier. June 28 is the most important date in Serbian history, the anniversary of the 1389 Battle of Kosovo, in which the Serbian king, his nobles and his retainers died en masse to fight to a standstill a vastly larger invasion force from the Ottoman Turkish empire. The provocato-triumphal visit of Bosnia’s new foreign occupier (the Austrian heir to the throne) to the majority Serbian provincial capital of Bosnia was a deliberate slap in the face to every Serb inhabitant, who saw their future as rejoining the Serbian state after five centuries of occupation. The insult to the Serbs was amplified by the archduke’s visit being held exactly on the anniversary of the Kosovo battle in which the Serbian empire had expired protecting the rest of Europe from Islam. The “Young Bosnia” group that killed the archduke represented not only Serbs but other Bosnian peoples, including at least one Muslim among the primary assassins. The Austrian intelligence services were warned about the assassination plot but did not intervene to protect the archduke, who was hated even in the Austrian court at Vienna. Margolis’ borrowed “sleepwalker” analysis of these events demonstrates that it takes more than a degree in history and a stroll through some former battlefields to get the story straight. He also cannot fairly deduce that involvement by rogue Serbian officers (later tried and executed by Serbia) meant that Serbia itself sought to provoke a world war. Serbia had just survived two regional wars of liberation from the Ottomans in the preceding three years and had not yet managed to accommodate the return to Serbia of its historic heartland of Kosovo, which Margolis disingenuously calls “Albanian” Kosovo. Margolis also dumps into the memory hole the fact that Kosovo’s indigenous residents were Serbs who still constituted a majority of the local population despite ethnic cleansing by Ottoman occupiers and ultranationalist Albanians seeking to seize the fertile plains of Serbian Kosovo for their impoverished nation that was originally located on the other side of the mountains, in what is now called Albania. Margolis’ white-is-black assertion that the late modern-day Serbian President Milosevic attempted to ethnically cleanse the Muslims out of Bosnia and/or from Kosovo was explicitly disproved at his purposely forgotten trial at the Hague. Also proven false were the other trumped up charges that the State Department’s media machine invented to justify NATO’s dividing, conquering and colonizing of the successful multi-ethnic state of Yugoslavia. Today’s result of their meddling is a field of mono-ethnic extremist statelet colonies that vie for seniority as servants of the Western empire called NATO. Margolis’ retroactive condemnation of Serbia, WWI’s main victim and ultimate hero of European values, is no surprise given the massive encouragements he has received from the Albanian lobby to write a new history for this region. His articles for more than two decades have sought to turn Serbian victims and heroes into villains, and to whitewash Albanian drug-dealers, terrorists and human-organ traders into paragons of Western virtue. It is all, finally, one “big lie” too far! I was surprised to not see any mention of the Armenian Genocide in your piece. The anniversary of this horrendous artifact of world war I is also approaching its 100 grim reminder next April 14th. Under the smokescreen of WWI, this horrific butchery and race murder was coordinated by the Ottoman state and its Young Turk leaders against her “infidel” Christian Armenians. Finally, there was one people that the Turk could extract their vengeance on with impunity as they were conveniently located in the Anatolian heartland.This Genocide served as a prototype for future state sponsored genocides in the twentieth century and indeed dark similarities appear to be playing out against in Kessab, Mosul and so forth. As the Bible states, there is nothing new under the sun. The Turkish republic under Attaturk and through the reign of the dictator Erdogan have denied this historical reality, often with shameful collusion from the geopolitical oil addicted west and “only we had a holocaust” Jewish lobby. Kindly do not fail to hold forth this glaring stain on the history of mankind in your future expositions on World War I; Mr. Margolis. Damn, so it’s unfair for Germans to live under Polish regime. But it’s fair for Poles to live under German regime. Despite majority of the population in the region being Polish. After all, seems that Margolis implies we Poles are subhumans who didn’t deserve to have our own state. West Prussia had Polish majority according to Prussian census, even when including large German military garrisons. There were few regions inside both West Prussia and Posen which had German majority, but it would be quite hard to carve up the border to make sure every district with German majority is in Germany (and vice versa). Unless of course you mean WHOLE West Prussia, not just the parts regain by Poland. Whole West Prussia indeed have German majority, but not WHOLE Prussia was given. The same is for Posen. The most heavily German-majority districts were NOT given to Poland, while 60% of Poles number is about percentage in WHOLE Greater Poland area. A typical move when I discuss with Germans, BTW. OK let’s just look at the areas transferred to Poland from Germany in 1919. According to the 1910 census, ethnic Germans numbered 421,029, or 42.5% of the population of Pomorze (the portion of West Prussia annexed by Poland). 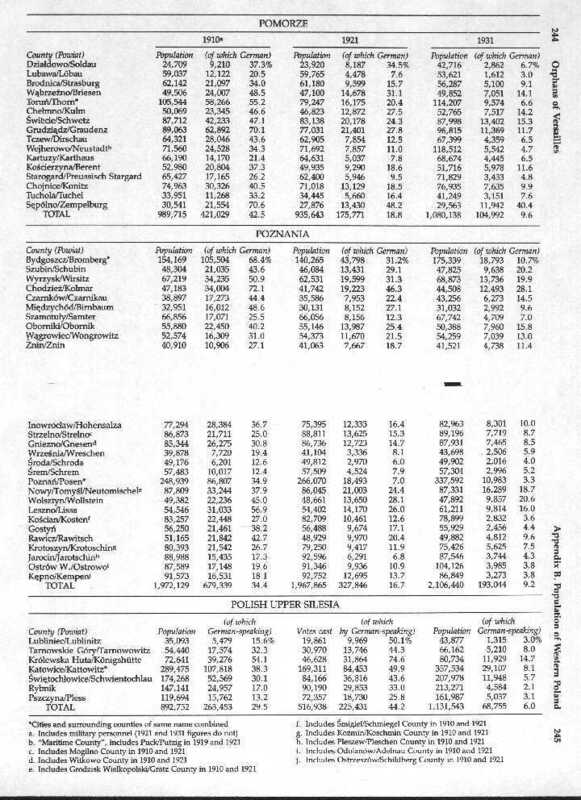 In Poznania (the portion of Posen annexed by Poland) ethnic Germans numbered 679,339, or 34.4% of the population. In Polish Upper Silesia ethnic Germans numbered 263,453, or 29.5% of the population. So that’s almost 1.4 million Germans who were transferred against their will to Polish sovereignty. By 1931 one million of these Germans had been ethnically cleansed from these historic Prussian lands: in Pomorze the German population was down to 104,992 (9.6%), in Poznania, 193,044 (9.2%), and Polish Upper Silesia, 68,755 (6%). Now I’m not arguing for any new border revisions or even any compensation for the German victims of the Versailles diktat or the much larger post-1945 annexations and expulsions. What’s past is past. Germany and Poland should live side-by-side within their existing borders in peace and brotherhood forever. And as I said in my previous comment, these illegitimate land grabs simply set the stage for the next war. 3) Finally, why you think it was great injustice to Germans? Why not thinking that allowing Poles to remain under German rule would be another great injustice? Are we, Poles, worse kind of people? 4) And finally you seem to forget that a lot of Germans were clerks, military garrison and settlers settled by German government in order to change ethnic composition of the area. Well John, facts are facts, and what’s not alright is to exaggerate them by a factor of 2.5 as you did, it’s quite alright to correct your error however. So when a province has a German majority, it’s ok to carve it up and give the territorially-large German-minority part (including some majority parts still) to Poland (or forcibly make a so-called “Free State” out of some too), partitioning Germany into two parts in the process, but if it has a Polish majority, it all goes to Poland? You don’t see a double standard there? So a 500+ year old defeat of Serbs by the Ottoman Turks in Kosovo is an excuse to kill the Austrian Archduke and Heir in Sarajevo, the one man of authority in the Habsburg Empire who was most against war with Serbia??? Also, no clear warning or details were given just a vague rumor, one of scores floating around. And Apis was not just “rogue”, but a central figure in the state, whose group had got rid of the previous monarchs and installed new ones, and changed the direction of Serbia in the process, from a client of AH to an open enemy. And Spalajkovic wrote that the war was to be welcomed, as it would give the chance to achieve “Greater Serbia”. And, Albanians were in the Balkans long before the Slavs. Like I said, you are using a double standard, ok for Poland to get not only a (Polish-)majority province in whole, but to carve up minority ones also (West Prussia and Upper Silesia – the latter voting clearly to remain German even if a majority were originally ethnic Poles). Also, Poland took some parts of Ukraine etc that had Polish minorities only around the same time, so democracy had little to do with it. Technically, about one-fourteenth of Posen stayed in Germany, but essentially the whole province went to Poland, while West Prussia was ripped apart so Poland could get most of the land despite a German majority overall. Steve you are using double standards. Poland lost a war and Germans conquered majority polish territories. At some point including totally German free Masovia region with polish capital Warsaw. And it was OK for Germans to conquer majority polish land. So, when Germany lost a war it is OK for Poland to own majority German lands. No double standards. No hypocrisy. But losing the war and Poland conquering majority German lands is a terrible catastrophe. Just German double standard and hypocrisy. Germans are just a bunch of losers with no dignity whining like a whimpering dog. No double standards. West Prussia is a province created by Prussia, including regions which were not part of historical Pomorze, and those parts were not claimed to be part of historical Poland. It’s like Poland would conquer part of Germany, and joined large part of surrounding Polish provinces in order to make the whole being Polish-majority. E.g. creating “western Greater Poland” including parts of Saxony. Please tell me, why we should respect arteficial borders imposed by Prussia instead of using our own historical regions? We didn’t carve up West Prussia. We claimed our old provinces Pomorze and Wielkopolska. With Wielkopolska being the historical core of Poland, a place where our nation actually was born (Hence the name: Polonia Major, Greater Poland). Moreover, why do you ignore that not an insignificant part of Germans – 100 thousands! – were brought there as part of systematic effort between 1886 and 1918 (most after 1901), by Prussian Settlement Commission, in order to make German presence stronger? Not to mention more than 300.000 government officials and military personel. Rubbish, “Heinz”. Germany didn’t conquer “Polish majority lands”, Prussia did, and in fact mostly in agreement with Russia which took the most. Mazovia went back to Congress Poland after the defeat of Napoleon, with Prussian agreement. West Prussia was part of (Teutonic) Prussia in the middle ages, and went to Poland only after a number of wars waged by Poland-Lithuania with the use of pagan Tatars etc to ravage the lands, so Prussia had a prior claim, and could not exist safely without it. The administration under Prussia was better in many ways too. Posen was majority Polish for longer, though in Roman times was German too. Ideally all people would belong to their own state, but in the period when Poland ceased to exist, partly due to her own internal problems, as admitted also by s0me Poles, some lands came under Prussian rule, then inherited by Germany in 1871. By 1919 West Prussia was solidly German (again) primarily, and tearing it apart to partition Germany and suit Poland whilst Poland also got (more justifiably) virtually all of Posen was not right and laid the direct basis for the outbreak of WW2. And a long past wrong does not make another recent wrong right, otherwise we could justify any crime or wrong now going back to the dawn of history for an excuse. Eg because Poles invaded German lands in ancient times, Germany could justify taking it all back, according to your Hotler logic (and Hitler’s). And, Germany did not “costart 1st world war to conquer more non German lands in Africa / Asia / Balkans / Eastern Europe”, that’s complete nonsense. There’s no evidence Germany went to war to conquer any lands, such claims were drawn up well after the war begun and Germany was invaded from booth sides, and German overseas possessions were lost quite quickly mostly, as was predicted and obvious. Nor was any land sought in the Balkans at all. Your last statement is pure ethnic hatred, and destroys any validity in your arguments. West Prussia was essentially the part of Prussia (“Royal Prussia”) that was taken by Poland from the Teutonic Prussian state in the 1400’s, after a number of aggressive wars by the Polish-Lithuanian state employing pagan mercenaries etc. Before that it was not a part of a unified Polish state except briefly and doubtfully under the early Piasts centuries before, when Poland was still in flux. So when Prussia reclaimed West Prussia, it was just claiming its own former territory essentially, except the south-west part along the Notec, territory it developed first as an organize state. Posen I admit Poland had a stronger case to, although in ancient times it was German also, but that is before m0dern states. As for colonization, Poland did it too when it ruled “Royal Prussia”, which before that had a mostly German and Balt population. Germans (or Germanized Balts) were still the majority by the time it went back to Prussia under Frederick, especially in the towns. All borders are “artificial” from some perspective. Ignoring the German side in 1919 to such an extent was a mistake that even Weimar Germany did not accept as just or permanent. It was a mistake that led directly to WW2 (or at least the outbreak of hostilities in Europe). @Steve But West Prussia province DID NOT encompass only lands of ROyal Prussia – that’s the point. Poland wanted only to recover pre-partition borders, e.g. old ROyal Prussia without lands which were joined to by Prussia to create “West Prussia” province. Also, if you want to play history, When Poland took Royal Prussia, it essentially reclaimed the Polish Pomorze province which was taken from Poland by Teutonic knights in 1300s, after number of agressive wars in which Teutonic knights were burning churches and monasteries (as well as massacring Danzig population, paradoxically German part of the city). It was part of Polish state since 1000 to 1300s, though when Poland was fragmented, it recognised Polish senior dukes sometimes only nominally (but then, also Polish dukes also recognised senior power only nominally). Royal Prussia never had any Balt population; it was Slavic land. You mistaken it with Ducal Prussia, which was mainly Balt. Germans were never majority of the populations, though they did form at times majority at cities. THere was nothing comparable to the Prussian settlement efforts; mainly because in premodern times, Polish kings and parliament was too weak to organize any concerted effort to import settlers and why they should care anyway: at that times people do not care that much about ethnicity (the religion, on the other hand, was much more important). Heck, even recent Polish noble families from Greater Poland after settling in Pomorze considered themselves Prussians while speaking Polish (not Germans! ), while German citizens of Ducal and Royal Prussia considered other Germans the foreigners and aliens (hence the whole movement which wanted to join Ducal Prussia to Poland, in Polish “kwerulanci” = they were mostly German nobles from our point of view – just read about all the protests whenever German dukes brought Germans from other parts of their lands). While the borders could be carved a bit better, I disagree with your opinion that it led to outbreak of hostilities. Without Hitler, there would be no war. All the disagreements could be solved with a bit of a good will and if only Germans would stop consider my home country a “seasonal state”. The point is that a majority German province was broken into pieces to give Poland most of it, and Danzig with 95% Germans was detached forcibly from Germany also, leaving Germany in two pieces and not effectively defensible. Whilst Poland got Posen practically whole because Poles were a majority there. It’s a double standard for sure, though not just on the part of Poland then (more the Allies really). Re Teutonic Prussia, it was originally taken by the Brandenburgers by legal feudal right of inheritance (as existed then for provinces) and appeal from leaders there, the Teutonic knights took it from them in 1308 at the request of Ladislas the Short of Kujavia, and then kept is as he refused to compensate them for their effort and they bought the rights from the Brandenburgers legally. It was not part of Poland, there had not been a Polish nation since the early 1100’s, just a bunch of dukedoms fighting each other, and Pomerania-Pomerellia was only a doubtful part of it even when it did exist, and was won by the same method of war and conquest as used later. The Knights were invited by Conrad of Masovia to help him in his wars and crusades against the Balts. Converted Balts were settled there in new towns and villages along with Germans by the Order who were the legal owners of the province, and they did not deliberately burn churches and monasteries, that is propaganda, they were directly subordinate to the Church and Pope and waged war only on heathens unless attacked. Poland-Lithuania was the state that employed heathens on several occasions against Christians, regarded as a great outrage then. The Danzig “massacre” is also largely a myth, in reality a small number only were killed in fighting in the city. Germans and Germanized Balts were a majority except in some rural areas. Polish aggressive nationalism already began in the middle ages, before the German equivalent, the state was often weak however it’s true (so was the German Reich until modern times). Even the Weimar Republic did not accept the Versailles borders. The war broke out directly over Danzig and the Corridor. Hitler had actually offered Poland a moderate solution (“Free City” Danzig back to Germany and a transport Corridor through the Corridor), but was rebuffed by the Polish leadership, which also had designs on German Pomerania and Silesia (just as with ‘Pomorze’ before). He actually showed “goodwill” but to no result, and before you cite Munich, Poland also supported the partition of Czechoslovakia at the time, as even Polish historians document. Hitler might not have been trustworthy in the long run but who was then. And Stalin was also angling for territory and even war (between others until he could step in as the victor). Without Hitler, war was still likely one way or another. Also, you might consider that it was under the Kaiser’s Germany during WW1 that the basis was laid for the resurrection of a sovereign Polish state, and government formed, in accordance with publicly pledged German-Austro-Hungarian policy, and on the basis of the blood of hundreds of thousands of their soldiers who fell driving back the Russian occupiers. As for impressions of Poland as a highly changeable entity, this was by no means a specifically German view, but was common throughout Europe, and even shared by some Poles, inevitably given the instability of her politics through most of history until recent decades. Territorial ambitions aside, Hitler had little choice but to start WW II. The WW I settlement had allowed the creation of the USSR and Stalin had created an enormous military designed to invade and conquer Europe. The German Barbarossa attack prevented the imminent attack by Stalin. I thought Krakow was Poland’s first capital.